While the country, the continent and, it seems, much of world at large is speculating over the finer details of the Brexit agreement, the wheels of commerce, both within and beyond Britain are still turning. So it comes as no surprise that companies are adding Brexit contingency measures to their day-to-day operations and business planning. With the political impasse and uncertainty as to how the country’s trading practises and infrastructure will evolve as a result of the deal (or no deal), there are noticeable trends emerging in measures being taken to safeguard businesses of all sizes and sectors. One area quick to feel the breath of Brexit is in warehousing and logistics operations. Two-thirds of the UK’s commercial storage facilities are full to capacity and looking to stay that way for much of the coming year. Whether you’re a supermarket giant relying on a free flow of goods from European and wider world markets, or a manufacturer dependent on components sourced abroad to continue production, any sudden unavailability or border delays could prove catastrophic and irreversible, even if nothing were to change in the long-term. Storage facilities around the country are seeing a spike in the number of customers choosing to stockpile their wares, their parts, raw materials, finished consumer goods… In fact, whatever they need to ensure they’re equipped to weather this unsettled political and economic climate. 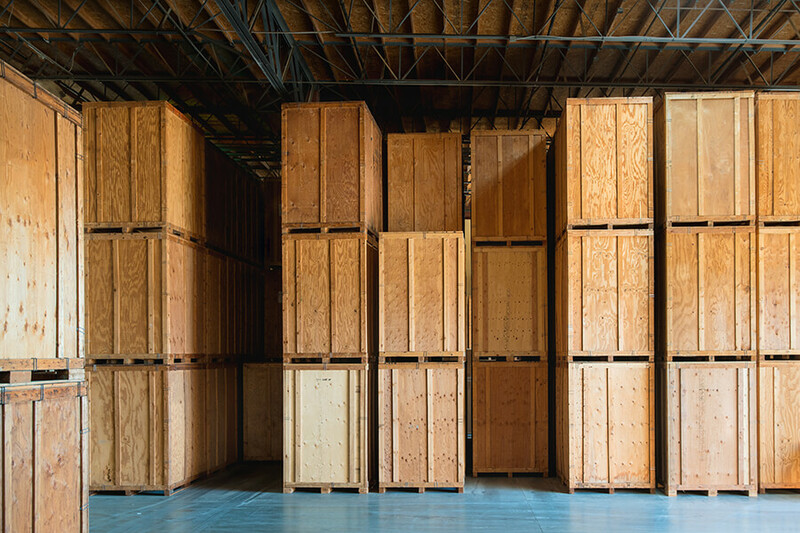 Likewise, those businesses using Brexit as the motivation to seek a new base abroad, are also investing in temporary storage solutions to set these wheels in motion ahead of – and in spite of – those ever-looming political decisions on the UK’s trading status. Global removals specialist, John Mason International, prides itself on a strong heritage of worldwide relocation services, which incorporates storage and packing logistics, both in the UK and in the destination country. As traditional warehousing centres find demand fast outstripping availability, organisations like John Mason International are finding their expertise and facilities fast fitting the bill, both to support UK-based businesses in stockpiling resources as a business contingency measure and to store stock bound for overseas markets in makeshift dispatch centres. Simon Hood, Sales and Marketing Director from John Mason International explains: “We support our customers from that initial decision to relocate right through to settling in their destination. As such, our extensive storage solutions in the UK provide a popular service for those settling here as well as those who want some permanence and consistency while the relocation is underway. “What we’ve been finding with the uncertainty around Brexit is our customers are employing the services of our extensive and secure storage facilities in the north and south of the country well in advance of any requirement, providing an extension of their business and a sense of stability where so much around them is in flux. We’re getting a real feel for the sheer scope of businesses planning to batten down and weather the outcome of Brexit. “We can provide conveniently-situated storage for households and commercial enterprises, archive, self-storage, vehicles and caravans, giving a whole host of options for people to stockpile or to pack up their business, wherever our customers envisage Brexit taking them. “Beyond anything else, storage gives you options. Your post-Brexit plans may be dependent on the nature of the deal struck with the European Union. Perhaps you rely on components imported from the continent? Maybe you’ve noticed a change in your own customer behaviours, with bigger orders or specific requests requiring a new fulfilment process. You might be in the middle of a move, but not committing to a timescale at least until the country does (!). 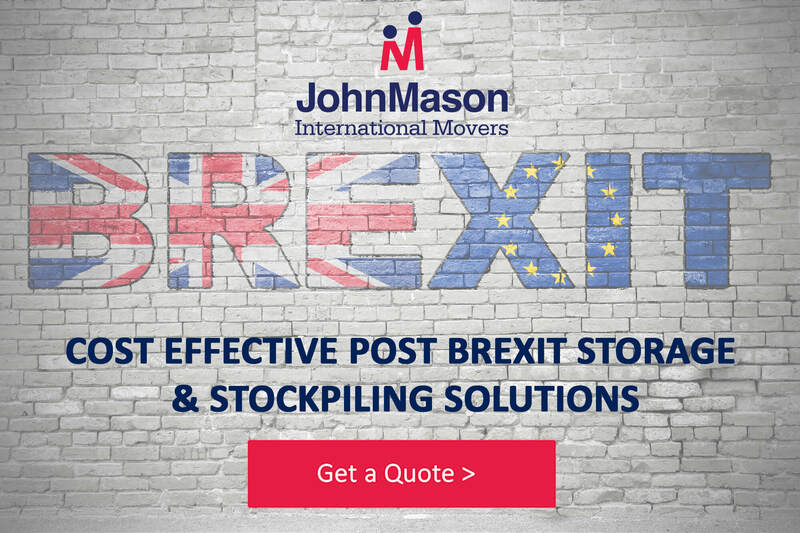 John Mason International offers a range of cost effective solutions for companies seeking Brexit storage options across the UK.